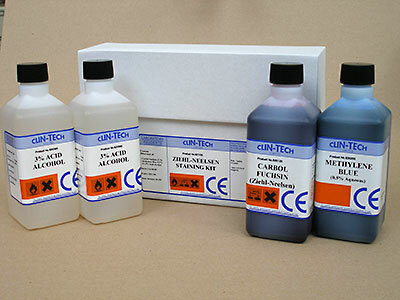 A four part kit for the staining of acid-fast microorganisms (mycobacteria), that is, Mycobacterium species such as Myco. tuberculosis and Myco. bovis.